* Total number of reviews and star-ratings are based on data collected during the time period Anytime Electric has been using the ReviewBuzz system and may not directly match the data found on each public review site. Eric and Kerry were prompt, professional and knowledgeable. Eric answered all of my questions and set my mind at ease. They did a great job on my project and I will definitely call to have them do future projects. I called to have a ceiling fan replaced late Wednesday night and Eric was there the next morning. Great service!!!! Eric came over on time and happily to address my fan not working. Turns out it has different settings ‍♀️ ‍♀️ ‍♀️ ‍♀️ ‍♀️ He was kind about competing out for no reason and didn’t even charge for the trip. Great experience! So sorry Eric to waste you time! I will be calling if we need anything else in the future. You guys rock! I called Anytime Electric on a Saturday and spoke with the owner Eric. We scheduled a service call for Wednesday and Eric kept me updated on his arrival status throughout the morning. He came and resolved our issue within an hour in a very professional manner. I would recommend Anytime Electric to anyone for their electric needs. Thank You! Hands down the most knowledgeable and professional group. **** walked me through all the steps and issues to be fixed. Can’t give enough kudos to the help and the work that was done. I would call them again without hesitation and would recommend to anyone. Arrived quickly and fixed my electrical issue professionally. Eric did a great job and reasonably priced. Came right on time too. Highly recommended! 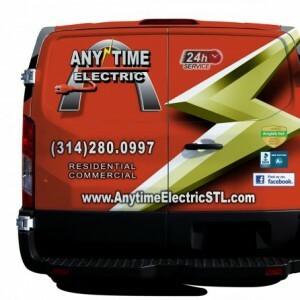 Eric from Anytime Electric did an outstanding job with the electrical issues we had at our house. He was very courteous and professional throughout the visit and I will definitely be using this company again in the near future. It’s always nice to have a quality and trustworthy person for important work around the house. I would highly recommend him. I would highly recommend Anytime Electric to my friends and family. Eric was friendly and professional and I will not hesitate to call them again for any needs we may have in the future. Great service. Use these guys....you will not be disappointed. Called at 8:30am about a failing breaker box/panel. Eric and Bill were here by 9:30am. Quick, knowledgeable service. Fair price. Total cost was exactly what we discussed....no hidden fees or upcharges or supply expenses, etc. Eric and team did fantastic work and they were friendly, responsive, and took time to explain everything to me. I highly recommend! Responded quickly and immediately found the problem. He fixed the problem in less than a hour. Very competent electrician and very reasonably priced. From this point on he is our go to electrician. I highly recommend Anytime Electric for all your electrical problems. Anytime Electric has been a go-to resource for me. They are professional and responsive. I highly recommend their service. Prompt, courteous and work completed as expected. Would definitely use again and recommend to others. Great prompt friendly service. Diagnosed the short in my garage lights and made the repair in less than an hour. Can't say enough good things about Anytime Electric! For the second time in less than a week they were able to squeeze us in for a service call and helped us out. Del was very helpful and professional. If you need anything electrical done, call Anytime Electric. You won't regret it. Thanks guys! Can't say enough good things about Anytime Electric! For the second time in less than a week they were able to squeeze us in for a service call and helped us out with our electrical issues. Del was very helpful and professional. He explained what was going on and what he needed to do. Seriously, if you need anything electrical done, call Anytime Electric. You definitely won't regret it. Thanks guys!! Customer service is always a top priority at Anytime Electric. Our BBB Membership A+ rating is like a badge of honor as we continuously strive to provide the best experience for our clients.